Moving to Australia? Well, the excitement is obvious when you are planning to move one of the most energetic, vibrant, and incredible country of the world. If you are a youngster aiming at an outstanding career abroad, Australia is the country to move to. Thriving economy, multiple occupations to apply, world-class cities, high standards of living, scenic locations, and brilliant infrastructure, are few of the key reasons why every young and talented individual want to immigrate to Australia. However, Australia’s immigration system confuses most of the individuals applying for visa in Australia. The things that confuse most of the Australia immigration aspirants are, choosing the right occupation and the right visa category for immigration to Australia. Well, the occupation you can choose from the in demand occupation lists, SOL or CSOL, however, choosing the right visa needs a bit of research and thinking. 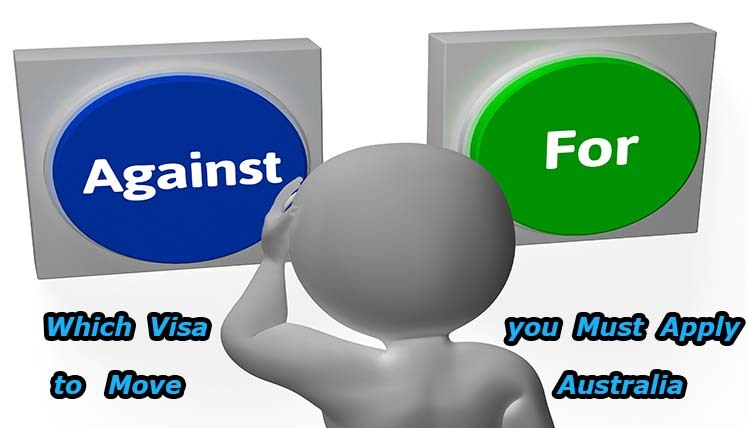 Let’s explore various visa categories in Australia to find out which one suits your profile and preference the best. How to Choose the Right Visa Category for immigration to Australia? Australia has designed several visa categories to invite skilled and talented immigrants to Australia. The skilled visas in Australia are based on economy and labour market needs across various states and territories in Australia as well as the preference of individuals. The Australian skilled visas can be divided into three main categories, i.e. This type of visa is not sponsored from any state or employer in Australia. You just need to meet the basic criteria and submit the EOI (expression of Interest) directly in online SkillSelect System to apply for a category of visa. The key example of this visa category is Skill Independent Subclass 189 Visa. The state-sponsored visas are sponsored or nominated by the State or territory government agency in Australia. Hence, to apply for this visa you first need to get a nomination from a state or territory in Australia. This category of visas can be further divided into two main sub-categories, i.e. Hope the above description would have helped you to choose the right visa category for immigration to Australia. In case you need further assistance or support for Australia immigration, you may send your query to email id – info@visasavenue.com or can directly speak to the qualified immigration experts dialling the contact nos. 011-48447777 (Delhi), 040-42467777 (Hyderabad), or 080-46668222 (Bangalore). What are the key Charges Involved in applying for PR Visa in Canada? What are the Pros and Cons of Applying for the Subclass 189 Visa for Australia?